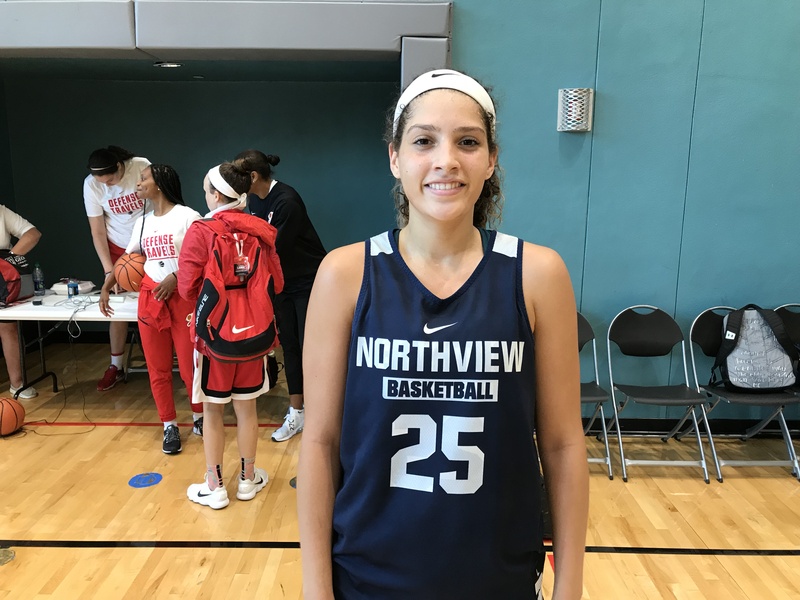 2019 6-2 F Ashlee Austin (Northview) is no stranger when it comes to GHSA basketball fans, opposing coaches and national scouting agencies. Austin picked up where she left off last season, leading Northview to a 1-0-1 start to open camp. She dumped in 23 points, 10 rebounds and 3 steals against GAC before wrecking Hillgrove’s frontline for 25 points, 18 rebounds, 2 assists, 1 steal and 2 blocks. Her size and touch were on full display, stepping out to hit three threes on the day. Austin is a physical rebounder that can score through contact. She went 9-for-9 total from the foul line. 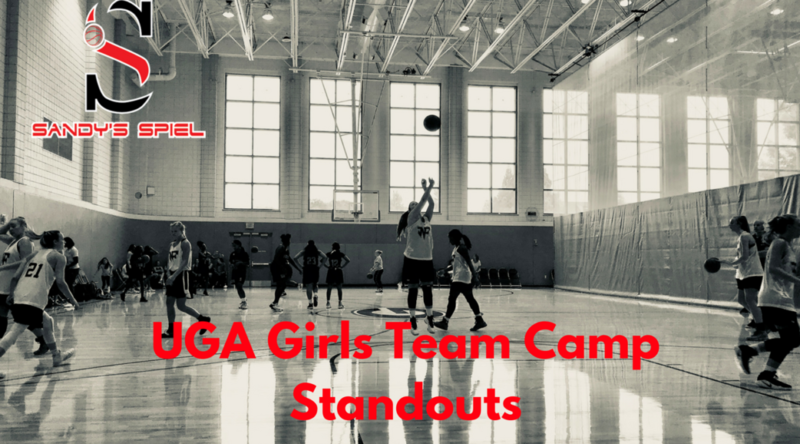 The UGA coaching staff had a hawk’s eye on her throughout camp. 2019 5-8 SG Chellia Watson (Winder-Barrow) will have to carry the Lady Doggs offense her senior season. While losing an All-American and a D-I signee obviously hurts, Winder-Barrow will still be competitive on the back of Watson. She ignited the action, drilling five threes in the first game of the day. Watson was able to create her own shot off the dribble. 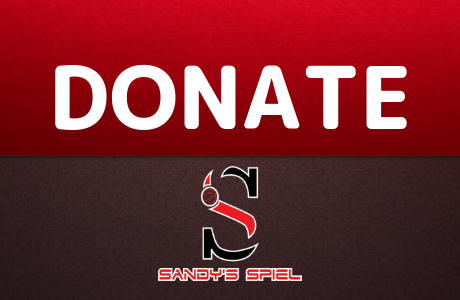 She has a strong build which allows her to get into the paint and finish against bigger defenders. Watson finished with 20 points, 6 rebounds, 1 assist, 1 steal and 2 blocks. 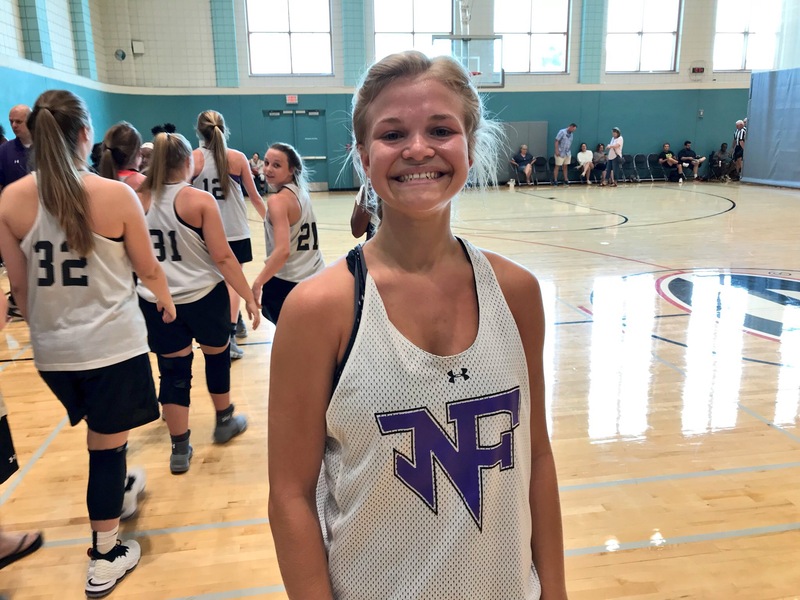 2020 5-8 CG Caroline Martin (North Forsyth) dropped in 22 points, 2 rebounds, 2 assists and 1 steal in a come from behind win against Winder-Barrow. Martin’s three-point shot opened up driving lanes. She nailed three three-pointers and weaved through traffic to get to the hole. She had a meaningful first step that was quick enough to put defenders in the dust. Martin is a well-polished guard that knows how to win games. 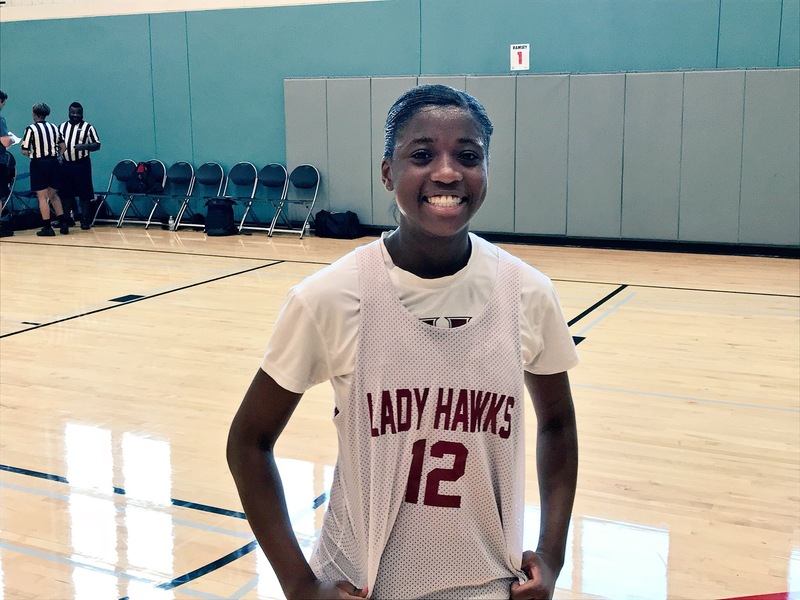 2019 5-8 CG Michelle Smith (Hillgrove) was the biggest eye-opener at UGA. Smith is an athlete with tight movements and a silky-smooth jump shot. Hillgrove was at their best when she had the ball in her hands. She was a playmaker, getting the ball in the right spots. Northview was never able to fluster her. Smith was in complete control with a strong handle. She posted 16 points, 5 rebounds, 3 assists, 6 steals and 1 block. It would behoove Hillgrove to run the offense through Smith and let her create her own offense or find shooters Logan Van Arsdale and Breah McGrady on the perimeter. Smith was a Second Team All-Region 3-AAAAAAA selection last season. In Athens, she looked like a future D-I player. 2019 6-2 F Deasia Merrill (Villa Rica) is rolling in D-I offers with Clemson and Duke the latest to pop. More are coming for the extremely skilled big. Merrill has a wide base and knows how to use it to her advantage, whether shielding defenders away or getting in position to rebound. Her court awareness is as high as anyone’s in the state. She is a great passer and truly makes everyone on her team better. Her hands are outstanding on defense and when rebounding. While defenses will do everything in their power to slow her down, Merrill can still affect games in other ways than just scoring. She posted 10 points, 19 rebounds, 5 assists, 2 steals and 4 blocks in a dominating performance against Rabun County. 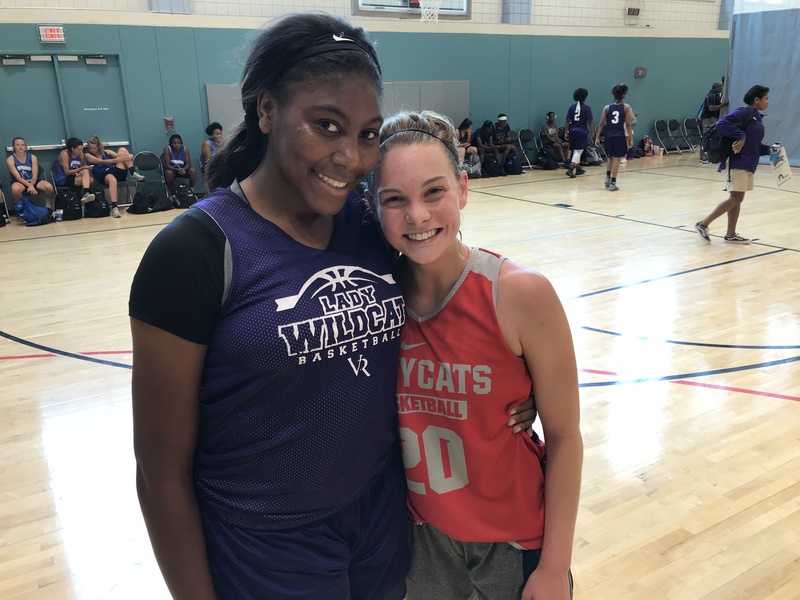 2019 5-8 CG Georgia Stockton (Rabun County) provided a spark for the Lady Cats in their duel with Villa Rica. Stockton started slow, but the Presbyterian-commit got hot, drilling four three-pointers to get Rabun County back in the game. The Region 8-AA Player of the Year pumped in 19 points, 4 rebounds, 2 assists and 7 steals. Stockton is a leader on the floor and an extension of Coach DeeDee Dillard. Her attitude and play on both ends of the floor is infectious.